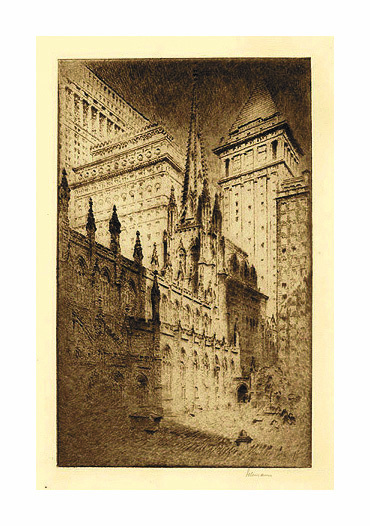 Untitled (Lower Manhattan) = c.1925, Etching. 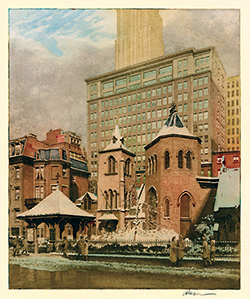 Edition small. Signed in pencil. 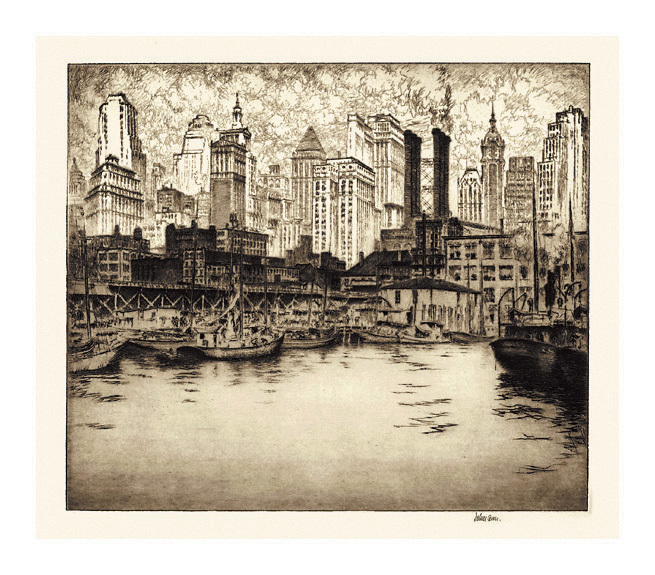 Image size 10 13/16 x 12 13/16 inches (275 x 325 mm); sheet size 13 5/8 x 16 1/2 inches (346 x 419 mm). A superb impression with selectively wiped plate tone and rich burr, in dark brown ink, on cream wove paper, with full margins (3/4 to 2 5/8 inches), in excellent condition. 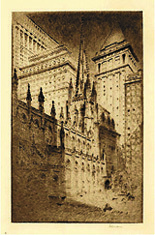 Trinity Church (New York) = 1927, Etching. Edition not stated. Signed in pencil. 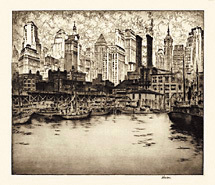 Image size 10 7/8 x 6 3/4 inches (276 x 171 mm); sheet size 15 x 10 inches (381 x 254 mm). A fine impression, on cream wove paper, with full margins (1 5/8 to 2 5/8 inches), in excellent condition. 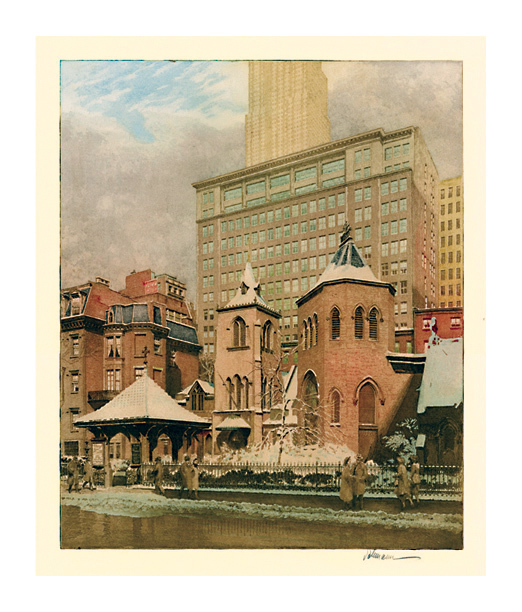 Little Church Around the Corner = c.1933, Color Aquatint. Image size 13 x 10 7/8 inches (330 x 276 mm); sheet size 17 x 13 inches (432 x 330 mm). A fine impression, on cream wove paper, with full margins (7/8 to 2 1/2 inches), in excellent condition.